Great for our new and old parents to follow. Take once a day, add to water or let them lick the dropper. watering mouth, Weakness, low energy, loss of consciousness, Seizures (rare) Anxiety, restlessness, no apatite. Keeping Hypoglycemia Relief Multi-vitamin Drops on hand which will stop a hypoglycemia attack along with a daily multi-vitamin intake. Let them lick the dropper once a day giving 3 droppers or add to food. If Puppy shows signs of Parvo feed to them once every hour. Organic Fresh Blueberries, Bananas, Cooked Yams, Fresh Cut Oranges, fresh cut Spinach, Tuna mixed with dog food sometime. Order:Organic Moringa Powder: ½ tablespoon to food. 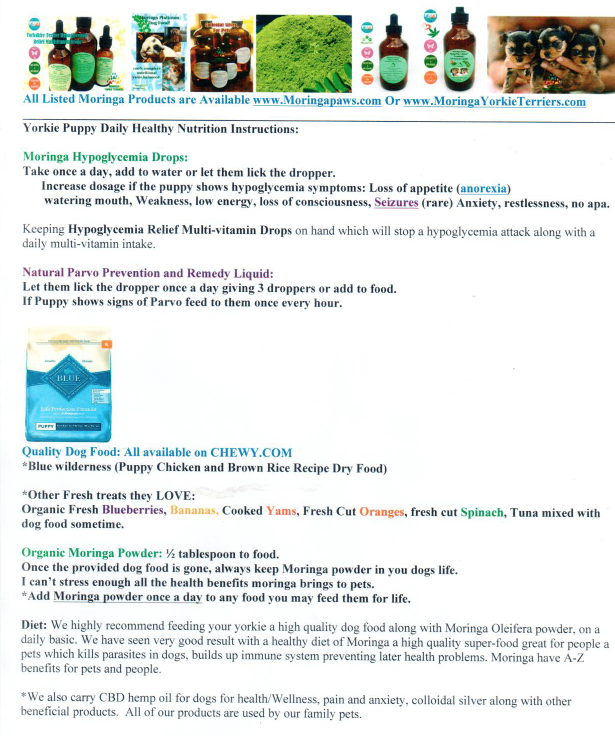 Once the provided dog food is gone, always keep Moringa powder in you dogs life. 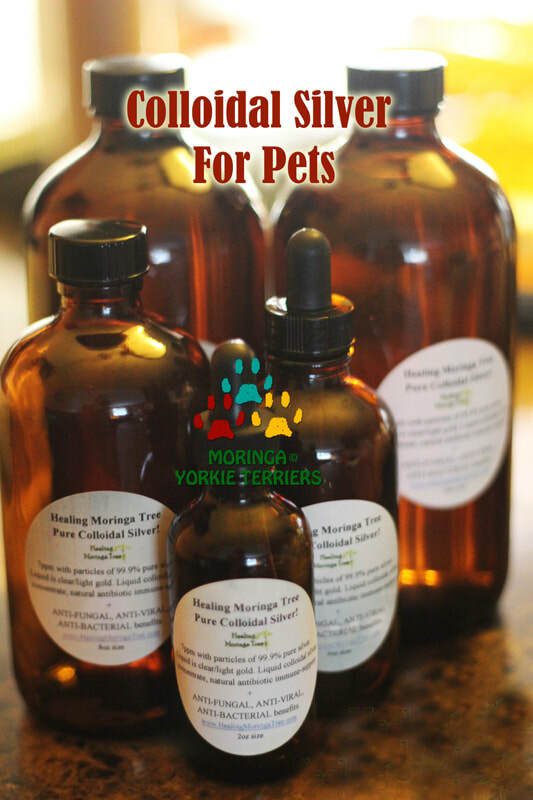 I can’t stress enough all the health benefits moringa brings to animals. *Add Moringa powder once a day to any food you may feed them for life. 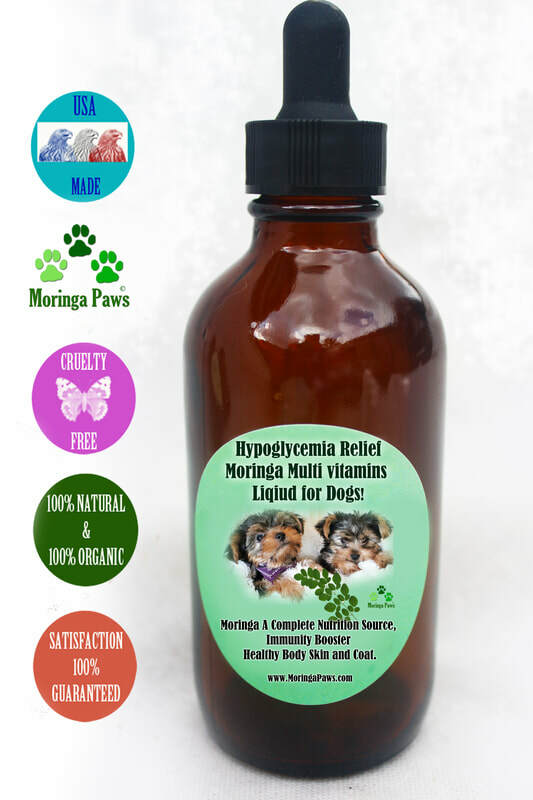 Diet: We highly recommend feeding your yorkie a high quality dog food along with Moringa Oleifera powder, on a daily basic. 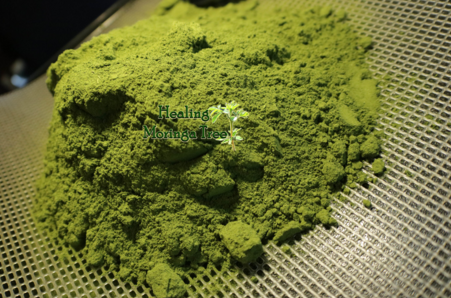 We have seen very good results per a healthy diet of Moringa. 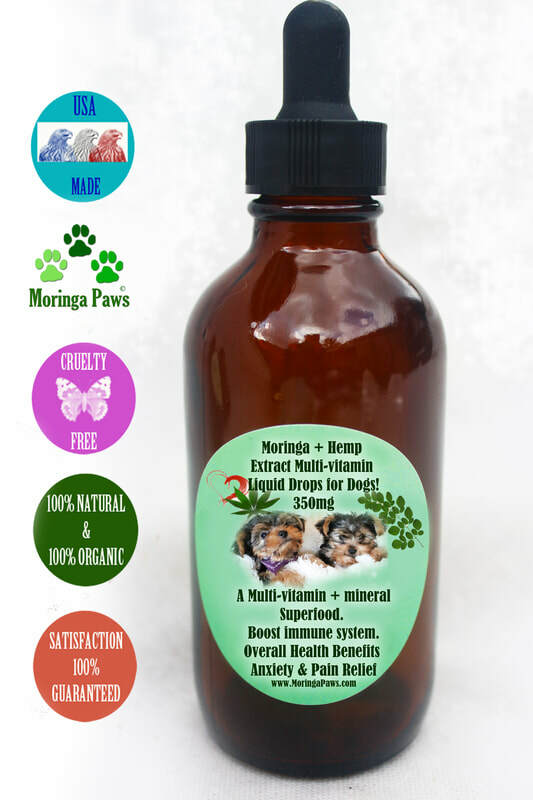 A high quality super-food Moringa is great for people, pets, which kills parasites, builds up immune system and also prevents future health issues. 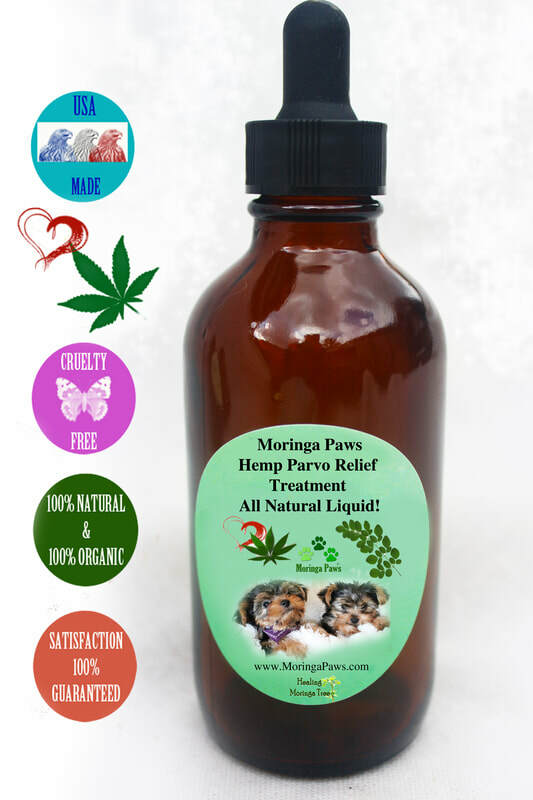 *We also carry CBD Hemp oil for dogs for health/Wellness, pain and anxiety, colloidal silver along with other beneficial products. All of our products are used by our family pets.